Burn videos to DVD easily. Memories are forever, but sadly the VHS tapes aren’t. So if you have a collection of VHS tapes, it’s time to convert VHS to DVD to preserve them. Once converted, you can play, preserve, as well as share the discs with your loved ones. There are a number of VHS to DVD Converters available and the following parts will discuss the details on how to convert VHS to DVD. One of the most practical methods of converting VHS tapes to DVD is by using a VCR ( Video Capture Device). Under this VCR to DVD converter method, you transfer your VHS tapes to your PC using a VCR and then using a professional tool like Wondershare UniConverter (originally Wondershare Video Converter Ultimate), burn your copied videos on PC to a DVD disc. Under this method, you need to be careful about the available RAM on your PC and the processor speed. Once the videos on your VHS tapes are transferred to PC through VCR, UniConverter (originally Wondershare Video Converter Ultimate) takes charge for the rest of the process. This expert software allows converting videos in an array of formats to DVD as well as Blu-ray discs of high quality. There are DVD menu templates with themes to choose from. The process of DVD burning is quick and fast. Burn any video to DVD and Blu-ray discs. Burn ISO files and DVD folder to DVD. Offers a number of static and free DVD menu templates with different themes. Real-time preview before DVD burning. 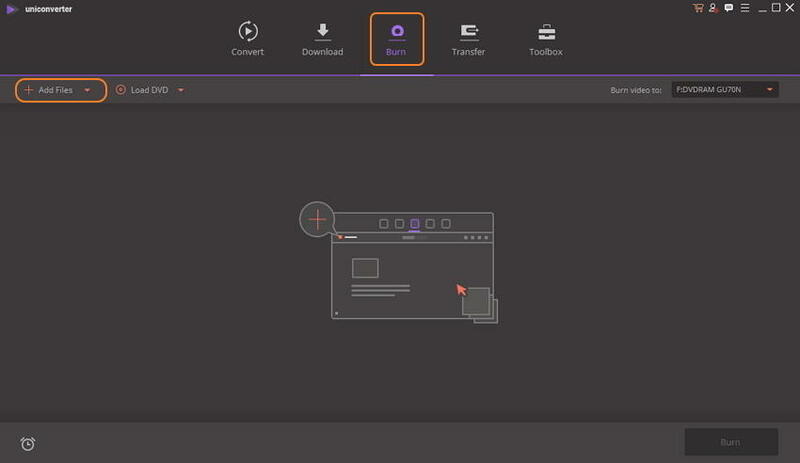 Built-in video editor allows customizing videos before burning with features like Crop, Rotate, Trim, and others. Before proceeding with the steps below, connect your VCR to your PC and copy the video to your system. Step 1 Launch Wondershare VHS DVD converter and import video. 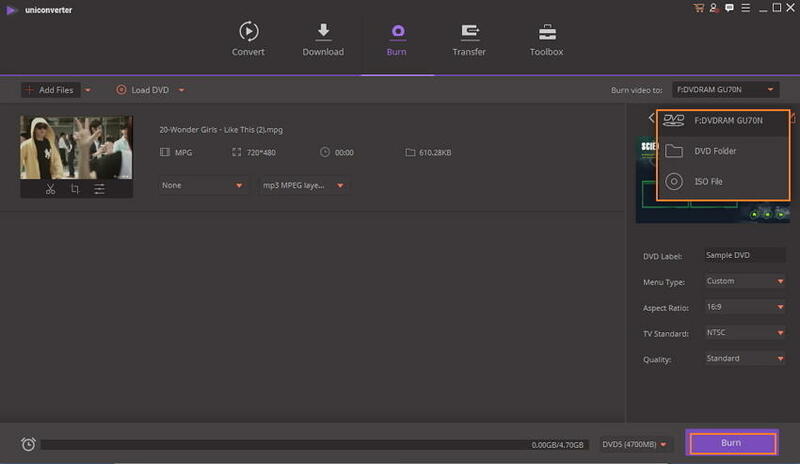 Install and open UniConverter (originally Wondershare Video Converter Ultimate) on your PC. From the Burn tab, click +Add Files to load VHS copied videos on your PC. Step 2 Set DVD Menu template and DVD parameters. Step 3 Burn VHS tapes to DVD. 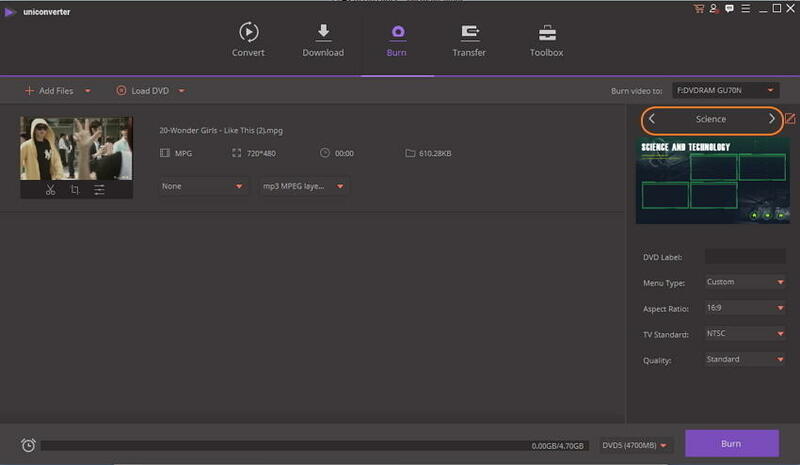 On top-right corner, open drop-down menu at "Burn video to:" tab to select the location where you want to burn the files. Insert a blank DVD disc into your PC and click the Burn button to start the process. The Wondershare software also works as a good VHS to DVD Macintosh converter. Another way to convert your VHS tapes to DVD is by using a DVD recorder. This is a quick and easy solution but lacks flexibility with regards to menus, chapters, and buttons. 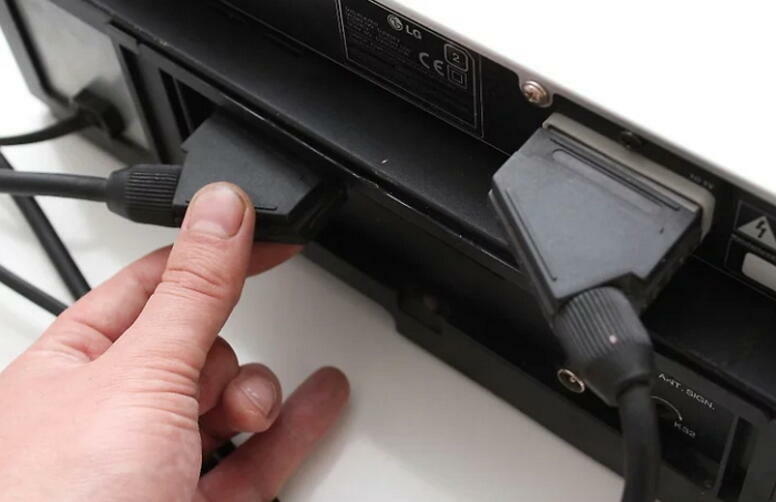 Through this method, your VCR is connected to a DVD recorder which directly records the videos played on your VCR device. Step 1: First of all connect your VCR to your DVD recorder using an RCA or S-Video Cable. Step 2: Insert the VHS tape that you want to convert in your VCR and insert a blank DVD into your DVD recorder. 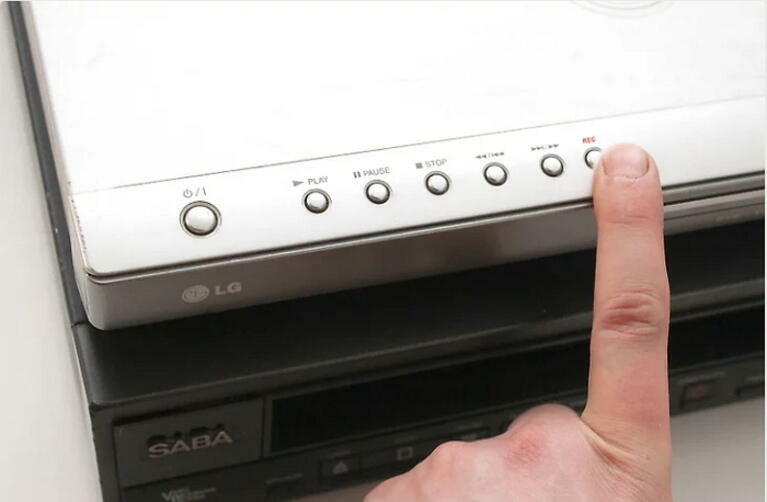 Step 3: Click the Record button on your DVD recorder and click the Play button on your VCR. 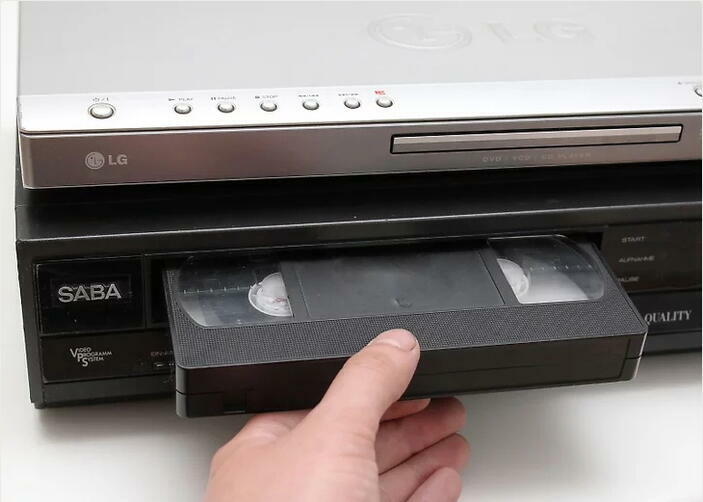 The videos played on your VCR will be copied to the disc in your DVD recorder. You can either stop the DVD recorder when required or it will automatically stop as the tape in VCR comes to an end. This is another method for converting your VHS tapes to DVD using a device where a DVD recorder and a VCR are present in a single unit. Though the process of video transfer is similar as discussed in the above part, the process is quick and hassle-free as there are no connections or cables needed. Moreover, the majority of these units also have a cross dubbing function. Under this method of DVD Recorder/VHS VCR Combination Unit, you simply need to put the VHS tape in the VCR unit and a blank DVD in the DVD unit. Play the Record button on the DVD side and the Play button on the VCR side. The video played on VCR will automatically record on DVD. Check the VHS DVD combo recorder best buy deals at various sites. If technology is not your cup of tea, no worries as there are a number of VHS to DVD conversion services available from a number of retailers. These services are available online as well as offline, where the provider converts your VHS tapes to DVD as well as digital content if needed. The charges for the service depend on the number of tapes, the type of disc required, and other factors. Some of the common VHS to DVD conversion service providers include Costco, Walmart, Southtree, iMemories.com, Target, CVS, and others. Under the online service, you just have to ship your tape to the service provider’s location and after some time, the converted DVD will be delivered to your doorstep. So if you are looking for options on how to transfer 8mm film to DVD yourself or through a service provider, check the solutions listed above.